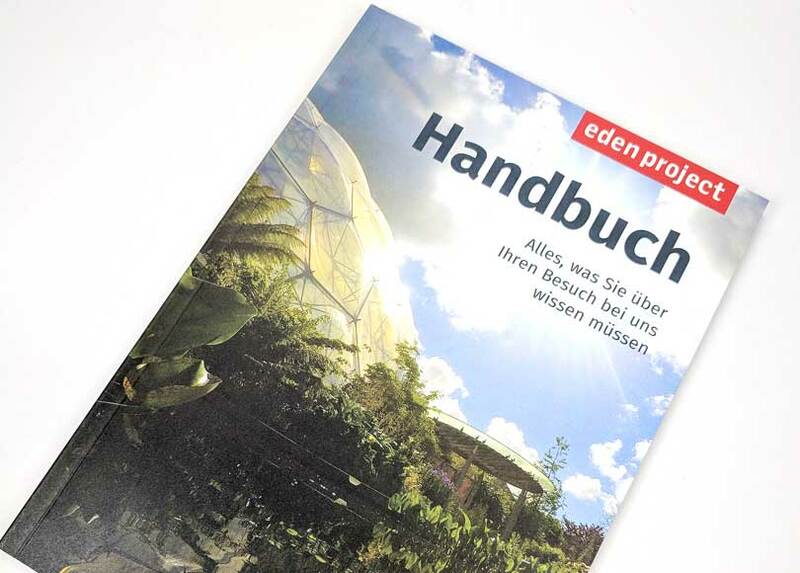 When the Eden Project needed a new perfect-bound guidebook printing for their increasing number of German visitors, the chose SAPC to manufacture the project sustainably. The Eden Project is an organisation built on sustainability and environmental responsibility. One of it’s aims is to educate people of the effects we have on the ecosystems that surround as and how we can help to protect the environment for generations to come. This environmental ethos is one shared with SAPC – so the Eden Project could not only rely on us to deliver a great looking book, on-time and on-budget – but also manufacture it in the most sustainable way possible. 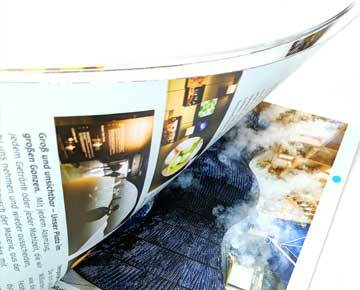 Using all our environmental credentials such as FSC accreditation, vegetable based inks and solar power to ensure the book was produced as sustainably as possible. Firstly, the paper stock was a major consideration. SAPC are FSC® accredited, which allows consumers to identify, purchase and use wood, paper and other forest products produced from well-managed forests and/or recycled materials. 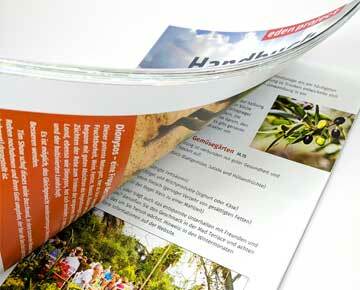 This project was printed on two types of FSC® paper – a 250gsm cover and 130gsm silk text. This project for The Eden Project was also one of the first jobs to be completed using the power of the sun from our new solar array, which was switched on just days before. We then delivered on our own van, directly to Eden just down the road.